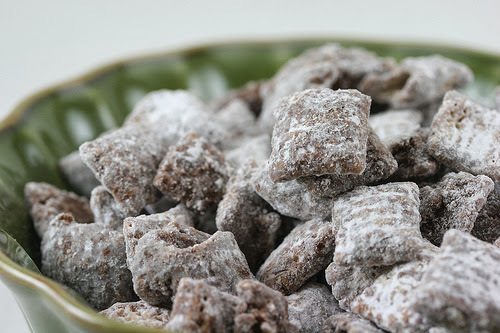 I love a good sweet and salty holiday snack mix, but my all time Christmas favorite has to be Puppy Chow. These little white powdered treats have been a part of our Christmas spread since grade school and I'm sure they aren't new to you. 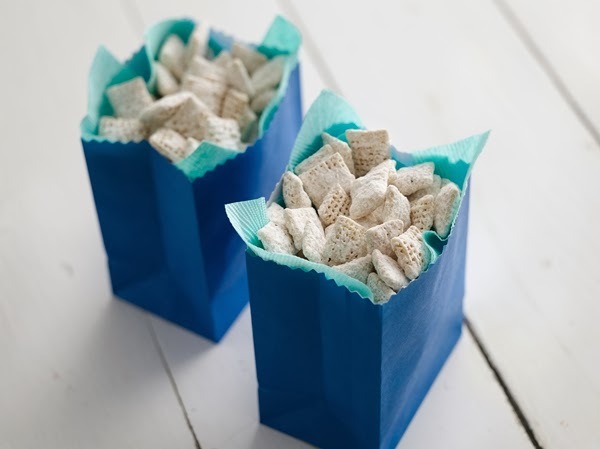 Muddy Buddies, Puppy Chow, Reindeer Poop ...whatever you call them, they are the holiday mix that leaves a trail of white:) To say it battles my will for self-control would be an understatement. When TV finds me with traces of powder sugar on my face, he knows it's time to hide the tin. 1. Mix Chex Cereal together and set aside in a large bowl. 2. 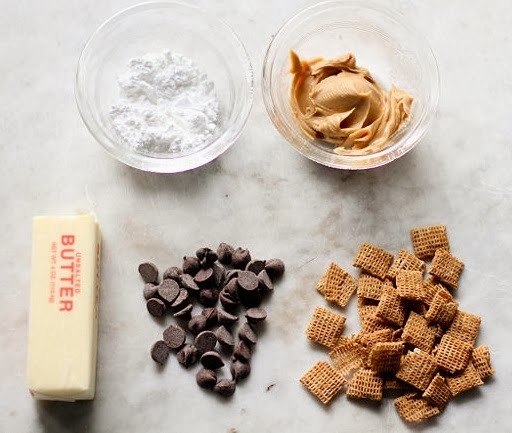 Mix Chocolate Chips, Peanut Butter, Butter, and Vanilla in a microwaveable bowl and heat for 1 minute --- Stir --- Then heat for an additional minute. 3. Pour melted mix over cereal and stir to coat. 4. Put Mix into 2 gallon bag and add powder sugar --- Then Shake! Keep your wipes close and ENJOY! MMMM! I'm slightly jealous! I freakin' love puppy chow! So delicious! Good choice! Yum! I want to eat this now! Yum, yum, YUM! I haven't had this in so long... I may have to make some this weekend!! !